There are quite a few different sites appearing offering players the chance to play Rummy online. 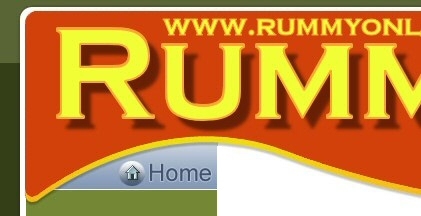 So why did we at RummyOnline.com choose to partner with Rummy Royal to provide our rummy games? Rummy Royal provides only Rummy games, nothing more, nothing less which keeps both them and us focussed on continually providing more features for Rummy players. There are other sites that have Rummy games but they feature other games as well, this leads to a poor quality game. There is a choice of Rummy games. Many other sites feature only one form of Rummy. Rummy Royal offers Traditional Rummy, Gin Rummy, Kaluki Rummy and finally Oklahoma Rummy – something for all players. Play the game you’re most familiar with! The design of the Rummy interface and games tables are fantastic and the attention to detail is excellent. Asides from this, from the lobby through to the games themselves, the design has produced a relaxed comfortable atmosphere players can enjoy playing in. The downloads for the games are quick and easy as well, it only takes a few minutes to download and register in Rummy Royal so you can be playing quickly and without the fuss that often comes with downloading game sites. Free play for as long as you want at the practice tables, it’s entirely up to you if you wish to change to real money play. Some players do, some don’t, and it’s not a problem either way. It’s great for beginners. Interactive rummy tutorials lead you step by step through how to play the games and without having any other players at the tables so you can take as long as you want to learn the games. Customer support, service and security are all top-notch. Rummy Royal strives to meet the needs of its Rummy players and provides great customer support and service and your online security is of paramount importance. Players who like to chat and enjoy the social side of online games can do so with the chat facility attached to each table when playing Rummy at Rummy Royal.